What he did would be better undone. 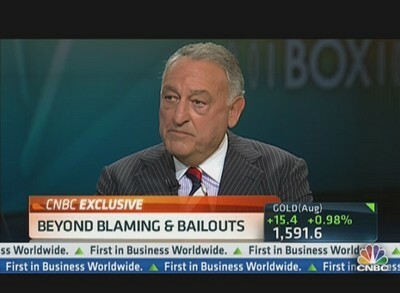 Sandy Weill, former chairman of Citigroup, stunned the finance world when he opined during a CNBC interview that commercial and investment banks should be split up. Weill, of course, was the serial dealmaker whose entire career was dedicated to creating a bigger and more diversified "Financial Supermarket," culminating in the $70 billion merger of Travelers and Citicorp to form Citigroup in 1999. Not yet legal at the time it was agreed, this merger required a waiver from the Fed as well as the ultimate overturning of the Glass-Steagall Act through the Gramm-Leach-Bliley Act in order to be consummated. Weill retired before the financial crisis, in which his financial supermarket became the largest of the "too big to fail" banks to require a federal bailout. "I think the earlier model was right for that time," he said on CNBC. "I don't think it's right anymore."